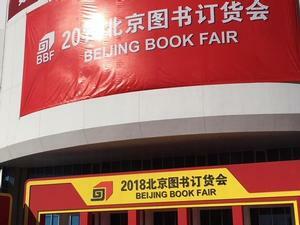 HAMPTON, Va. (Jan. 12, 2018) — Dr. William R. Harvey, Hampton University President, successfully launched his latest work “The Principles of Leadership” in China via video chat with a captive audience at the prestigious Beijing Book Fair Thursday night. 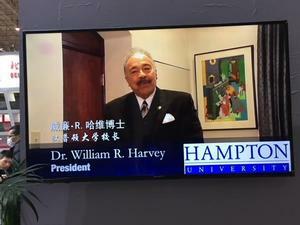 Dr. Harvey appearing live via video chat in China, broadcasting from the Scripps Howard School of Journalism and Communications TV studio at Hampton University, spoke of his many travels to the country and shared what inspired him to write the book and the foundation of his 10 tenets of leadership. “…Outstanding leadership examples from my parents, other role models, professional mentors and colleagues, the study of leadership, and my own thoughts propelled me to develop the Harvey leadership model,” said Harvey. Dr. Harvey recently celebrated his 40th anniversary as the president of Hampton University, and is one of the longest sitting presidents of any American university or college. 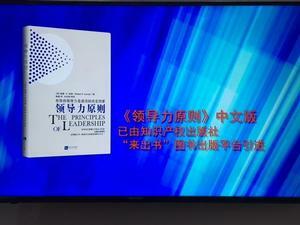 “Principles of Leadership” Mandarin version will be sold in bookstores throughout China, including the Xinhua book stores, and can be bought through e-commerce online sites Dangdang, Jingdong and Amazon China and on the Alibaba website. In the U.S., the English version of the book can be purchased on amazon.com. Dr. Harvey is donating the proceeds from his book to fund student scholarships at Hampton University. Chinese audiences is that his book and life are a testament to how through hard work, perseverance and education, anyone can achieve his or her dreams. That is a powerful and inspiring message to China’s 1.4 billion people, which include 56 different ethnic groups (55 of whom are minority).